At the Standing Rock camps in North Dakota, the world has witnessed an extraordinary struggle for Indigenous rights and sovereignty, for clean water, and for a safe climate. Indigenous peoples around the world have long fought on the front lines for their sovereign rights and the protection of Mother Earth. The Standing Rock movement has galvanized already-existing Indigenous movements around the world, and has spurred new collaboration between Indigenous and non-Indigenous environmental and climate justice activists. When the people of Bismarck, ND objected to a proposal to route the 1,100-mile crude oil Dakota Access Pipeline near their city, in fear that it would endanger their water supply, Energy Transfer Partners, over the objections of the Standing Rock Sioux and other tribes, chose a route on treaty land that threatens the Missouri River, a source of drinking water for 17 million. From April 1, 2016 to February 23, 2017, peaceful encampments of water protectors resisted construction of the Dakota Pipeline. Thousands of people, including elders and children, were met with ongoing human rights abuses by militarized police. In an illegal move, the Trump administration overturned an Environmental Impact Statement procedure mandated by the U.S. Army Corps of Engineers in the final weeks of the Obama presidency, and bulldozed all of the encampments not on private land. In October 2016, BCJN issued a public statement in solidarity with Standing Rock. You can find the full text below. We have organized and participated in NYC protests. We work with a coalition demanding that NYC divest from the Dakota Pipeline. And we work in solidarity with our Native American brothers and sisters in the Bronx and in the wider New York area, including the Ramapough Lenape Nation at the Split Rock Sweetwater Prayer Camp in NJ, to oppose the local AIM and Pilgrim Pipelines. Bronx Climate Justice North stands in solidarity with our Native American brothers and sisters and other allies engaged in nonviolent civil disobedience at the Standing Rock encampments in North Dakota. Their struggle is our struggle. Their resistance is our resistance. The future of all people is at stake. 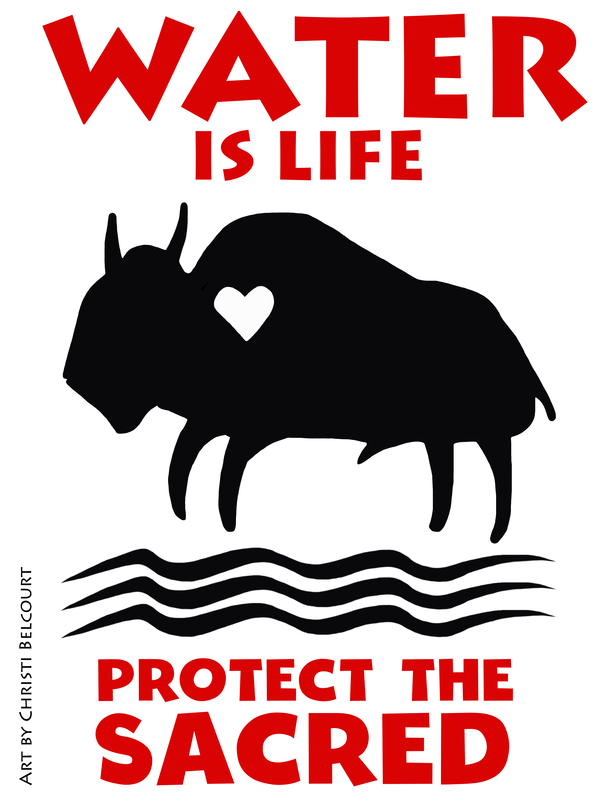 The Dakota Access Pipeline struggle is a critically important one for the global climate, for safe drinking water, and for human rights. First and foremost, however, this struggle is about Native American liberation, self-determination, sovereignty, and survival. Since European settlers first arrived on this continent, First Nations peoples have been subjected to attacks on their sovereignty, theft of their land, and campaigns of assimilation, cultural erasure, and genocide. These attacks against Native American Peoples have not ended. The latest can be seen in the determination of Energy Transfer Partners, the many banks and financial institutions funding construction of the Dakota Access Pipeline, and law enforcement and political leaders of North Dakota to construct a dangerous and destructive pipeline in violation of Treaty agreements with Indigenous Peoples and against the express wishes of those living in or near the path of the pipeline or along water bodies that would be affected by the pipeline. The federal government of the United States, which has pursued genocidal policies against Native American Peoples for hundreds of years, only recently implemented, with conditions, the United Nations Declaration on the Rights of Indigenous Peoples. It must be held to the letter, spirit, and intention of the Declaration. The federal government has betrayed its obligation, under the Public Trust Doctrine, to protect the air, land, water, and wildlife that belong to all, in common. We stand against hydraulic fracking of oil and gas and the infrastructure that supports it. We demand that fossil fuels be left in the ground. 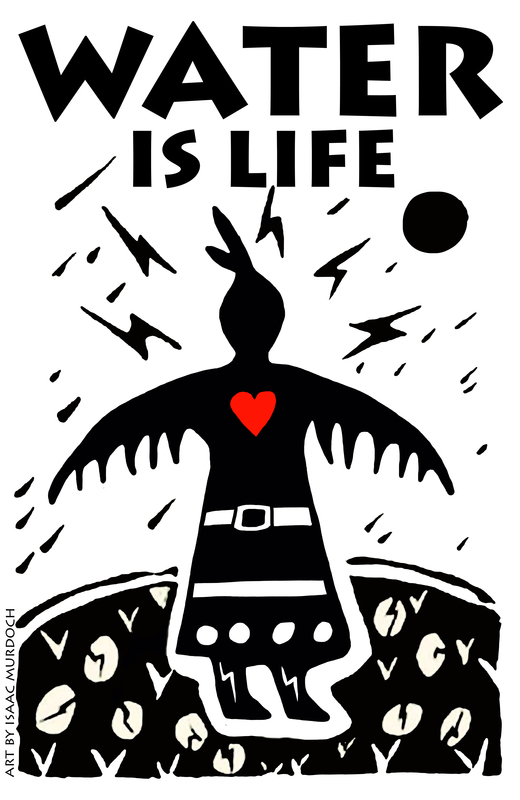 We are fighting for a rapid, just shift to a renewable energy future that prioritizes the needs and recognizes the past sacrifices of front line peoples who have suffered first and worst from environmental destruction and racism. We uphold the validity of indigenous treaty rights, nonviolent civil disobedience, and the protection of nature and natural resources without which our lives and the viability and beauty of the natural world are imminently threatened by corporations guided solely by profit, and local, state, and federal authorities in alliance with them. We unequivocally support the Standing Rock Sioux Tribe and more than 200 other tribes from North and South America who have gathered in unity and in unprecedented numbers to peacefully and prayerfully oppose construction of the Dakota Access Pipeline. We acknowledge that, indeed, Indigenous Peoples were the first climate justice activists. If constructed, this 1,100-mile, $3.8 billion pipeline would move 400,000 barrels of crude oil from the Bakken oil fields of North Dakota through South Dakota, Iowa, and Illinois, and beneath hundreds of streams, tributaries, and rivers, including the 2,431-mile Missouri River, which provides drinking water to millions. Construction of the Dakota Access Pipeline has begun without the required environmental review procedures. It is violating the historic rights of the Standing Rock Sioux and other tribes, including the right to clean water, and the protection of sacred burial and other ancient cultural sites guaranteed by the Native American Religious Freedom Act of 1978. In addition, the Dakota Access Pipeline project violates agreements made by the U.S. Government with the Great Sioux Nation in the Treaties of Fort Laramie of 1851, 1859, and 1868. As a climate justice organization, we understand that construction of fossil fuel pipelines endangers the future of Indigenous peoples, humanity as a whole, and the living systems of the Earth. We understand that climate change is a social, racial, and economic justice issue. We stand with the Native American youth of Standing Rock who, courageously and with great foresight, are standing with their elders to protect the waters and lands of the Great Plains, down to the seventh generation. Bronx Climate Justice North stands with fellow Bronx climate and environmental justice advocates as they stand with Standing Rock. We stand with the growing number of cities, civil society organizations, religious communities, and other non-Indigenous allies that stand with Standing Rock. We demand an immediate cessation to the destruction of the commons and of sacred Native American burial and cultural sites. We demand an immediate cessation to the abusive, harassing, unconstitutional, and militarized police and private security response to the peaceful Standing Rock protectors – we demand the immediate, respectful restoration and protection of their First Amendment rights. We demand justice, human rights, security, and clean air, lands, and waters for our Native American brothers and sisters and for ourselves. This is a fight for us all. We are undivided in our need for safe water, safe food, a livable climate, and human rights. We demand a living, vibrant future for our planet. We will continue to resist, and we will support the Standing Rock resistance, until the Dakota Access Pipeline project is terminated. 10/16/16: BCJN releases its official Statement in Solidarity with Standing Rock, (see above, and on our blog), publishing it on its website, sending it to Standing Rock leadership in N. Dakota, and distributing it in flyer form. 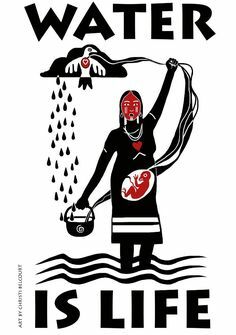 11/15/16: In response to another call for a National Day of Action in Solidarity with Standing Rock issued by Honor the Earth, the Indigenous Environmental Network, and 350.org, BCJN helps organize, and participates, in a 3,000-strong protest and civil disobedience at the U.S. Army Corps of Engineers offices at Foley Square in lower Manhattan — NYC Call to Action: We Stand with #StandingRock. Thirty-nine people are arrested calling for the Army Corps to revoke a permit to Energy Transfer Partners to drill under the Missouri River. 12/15/16: BCJN member and Taina elder and activist Vanessa Inaru speaks to the Marble Hill Senior Center about the Standing Rock movement. Many members of the Senior Center are Taino (Indigenous Puerto Rican – Boriquen). 1/15/17: BCJN works with others to ensure that the Peoples Climate Movement National Steering Co. issues a statement in solidarity with Standing Rock, and works in collaboration with local Indigenous activists to encourage a strong NYC Indigenous turn-out at the April 29, 2017 Mobilization for Climate, Jobs, and Justice in Washington, D.C.
2/15/17: BCJN joins a newly formed New York City DefundDAPL coalition, and signs an organization letter urging Mayor de Blasio to divest NYC from banks funding the Dakota Access Pipeline. 2/25/17: BCJN co-sponsors Verso Books panel in Brooklyn, “Fighting for the Climate in the Age of Trump,” a discussion of Standing Rock, climate change, the national pipeline struggle, and Indigenous rights. With Grassroots Action NY and The New Inquiry. 3/18/17: BCJN co-sponsors #DivestmentDay–Defund Dirty Energy, a Union Square, NYC protest followed by visits to local banks to close accounts in support of #DefundDAPL. With Grassroots Action NY and more.